Year after year, Oscars ceremony after Oscars ceremony, viewers watch Leonardo DiCaprio's name get announced for a completely awesome performance in an extremely difficult role — as a nominee. Always as a nominee. No matter how many times he's nominated, Leonardo Dicaprio gets snubbed at the Oscars over and over again. By now, it's been five times: three for best actor, one for best supporting actor, and one for best picture as a producer. Even worse, across the board, Leo has been nominated by various awards shows 138 times, and out of those nominations he has only won 34 times. And in February, he might add yet another big loss to the list, if he gets nominated for his role in The Revenant but loses once again. 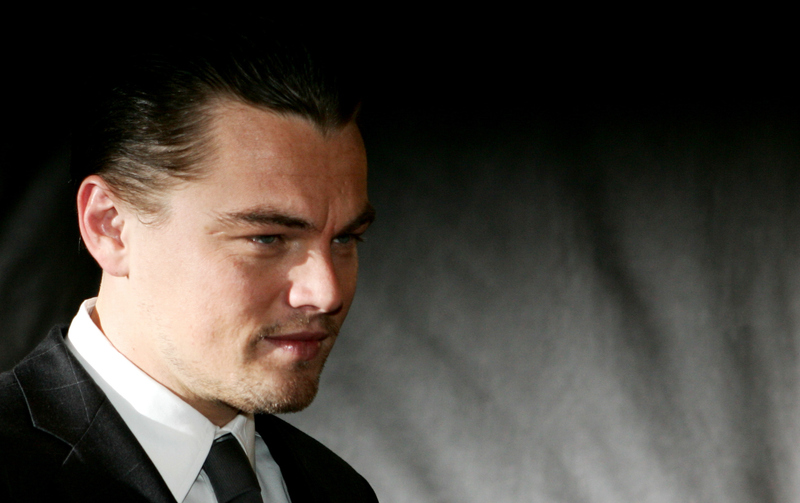 Why does the Academy keep snubbing Leo? Do they have an intense hatred for handsome men with outstanding acting abilities who can play any role? Or are they just still as upset as the rest of us that Jack didn't just jump up on the door with Kate in Titanic? Whatever the reason, this chronological list of poor Leo's Oscar snubs should remind you how sorry we all are for the talented and seasoned actor (well, at least where Oscars are concerned — DiCaprio dates supermodels and isn't exactly hurting for money). In '94, DiCaprio was nominated for playing Arnie, the mentally disabled brother of Gilbert Grape (Johnny Depp). While he wasn't the first actor to make waves for playing such a character, he stood out because of how complex and realistic his performance was. DiCaprio nailed the role, even though he was just a young teen at the time. Yet despite this, the Academy was unimpressed and instead gave the Oscar to Gene Hackman for Unforgiven. After more than 10 years of acting in a bunch of other really fantastic and awe-inspiring movies, Leo found himself playing the role of a lifetime: Howard Hughes in The Aviator. Hughes was a billionaire, aviation tycoon, and a big-time Hollywood producer all in one lifetime, and though this role took a lot out of DiCaprio and required intense acting chops, the Academy didn't honor him for it. They decided upon Jamie Foxx for his role in Ray instead, and no offense, Leo, I don't really blame them. The American-German thriller Blood Diamond got mixed reviews, but most critics agreed that DiCaprio's performance as a Rhodesian gunrunner was above and beyond. DiCaprio's character had a troubled backstory, having done some things he shouldn't have been proud of, but he ultimately found redemption. Unfortunately, the intense character development he went through wasn't enough for the Academy, who decided that year to instead honor Forest Whitaker for The Last King of Scotland. Not only did DiCaprio act in this Scorsese movie, he was also one of the producers. Playing an incredibly wealthy and even more sleazy money-maker, the star did a fantastic job making viewers hate him. Yet despite the success of the film and DiCaprio in doing their jobs, 12 Years A Slave beat Wall Street out for Best Picture, and Matthew McConaughey won Best Actor for his role in Dallas Buyers' Club. Yet despite DiCaprio's lack of Oscars, he has still proven time and time again that he is a phenomenal actor with great taste in roles. He may not have won an Oscar, but he has won our hearts.